Announcement FREE US SHIPPING on all orders over $50 with code FREEOVER50! PROCESSING TIME IS CURRENTLY 1-2 WEEKS, but rush processing & priority shipping options are available. Welcome to Kickin Legs! Each pair of leggings is hand painted by me with multi-surface acrylic paint. PLEASE NOTE that the leggings I use come mostly from the girls' clothing section and they tend to RUN SMALL, especially on boys. I sugges that you go by the measurements provided below when ordering! 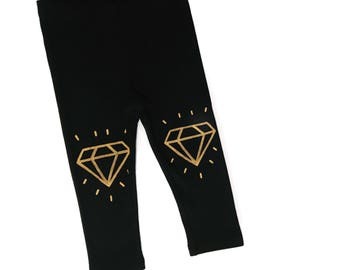 Depending on the size(s) that you need, I may have additional colors available for the leggings. Message me to see what I have! Each pair of leggings is MADE TO ORDER; therefore, I DO NOT offer exchanges or refunds if you order the wrong size. Please measure carefully & read each listing thoroughly prior to ordering! RECOMMENDED CARE: hand wash cold INSIDE OUT; lay flat to dry. 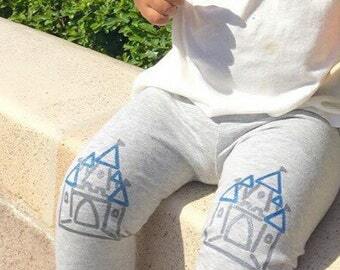 The design will soften over time and may shows signs of wear if your little one is tough on clothes! All items come from a pet-friendly home. FREE US SHIPPING on all orders over $50 with code FREEOVER50! PROCESSING TIME IS CURRENTLY 1-2 WEEKS, but rush processing & priority shipping options are available. 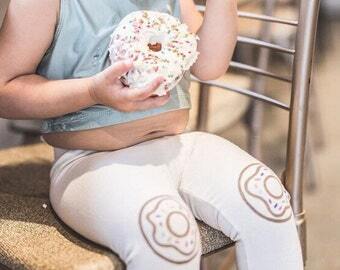 Best leggings ever! 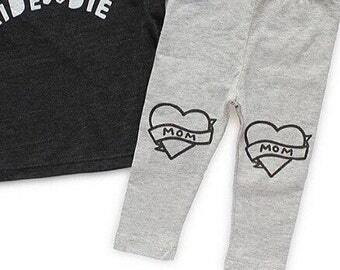 I keep coming back for more because I have been able to pass down the leggings from my middle child to my youngest because these leggings last!! Pictured are the current pair I ordered!! Each pair I’ve ordered has been a custom design and exactly what I’ve wanted. Hi there! 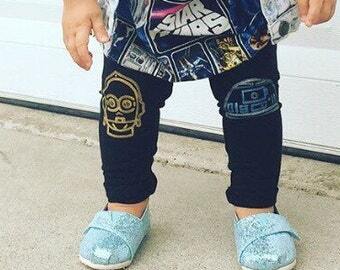 I'm Chelsea, owner & creater of Kickin Legs hand painted leggings. Based in Austin, TX, I'm a mom to a wonderful 6-year-old little lady, who is my muse & inspiration. I work full-time for the federal government, so this shop is my creative & artistic lifesaver! I'm Chelsea, owner & creater of Kickin Legs hand painted leggings. Based in Austin, TX, I'm a mom to a 6-year-old lady who is my muse & inspiration. I work full-time for the federal government, so this shop is my creative & artistic lifesaver! 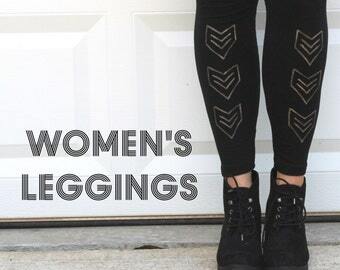 Each pair of leggings is made to order; therefore, we cannot offer exchanges or refunds if you order the wrong size, though we are happy to work with you if there is an issue. NO refunds or exchanges on custom designs. Please measure carefully, read each listing thoroughly, & review all shop policies prior to ordering! If you have any questions, please do not hesitate to contact us so that we can help you make the right purchase the first time! We accept PayPal, credit cards, and Etsy gift cards. You may cancel your order within 24 hours after placing it. All ready-to-ship items will be mailed within 5 business days. Custom & preorder items take approx. 1-2 weeks to ship. We ship via USPS First Class with delivery confirmation and tracking (within the US). International packages are sent via First Class International package service. We do not cover customs fees & other unexpected fees for international packages; you are responsible for any such fees. USPS First Class Mail Insurance is an optional add-on available at checkout for US orders. WE ARE NOT RESPONSIBLE FOR LOST, STOLEN, DELAYED, OR DAMAGED PACKAGES! We are happy to accept custom orders! Just message us with the size, color, and design that you're interested in. We do not accept wholesale orders.